Carborundum Cutting and Grinding disks are used with our 115mm and 230mm Angle Grinders, as well as 350mm stone cutting disks for use with our Brick Cutters and 350mm metal cutting disks for our Cut off Saws. 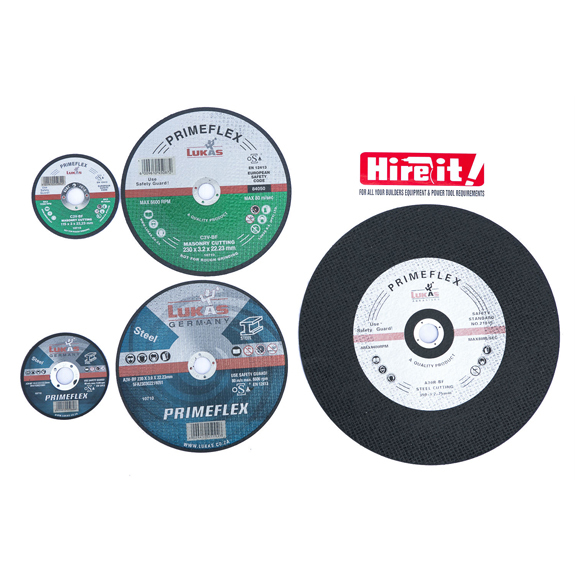 We stock stone/masonry cutting disks as well as mild steel cutting and grinding disks. 115mm x 1mm thick blades are available for Stainless Steel cutting.